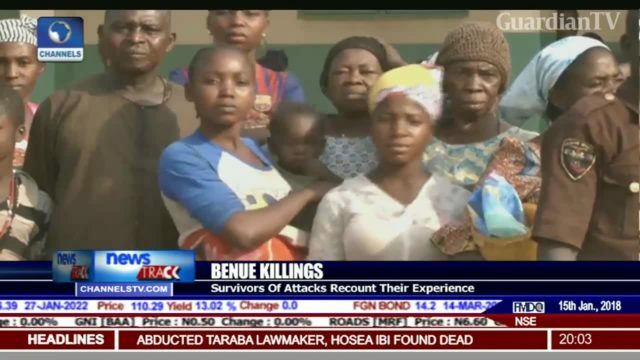 Herdsmen farmers crisis - Benue attack survivors narrate ordeal. 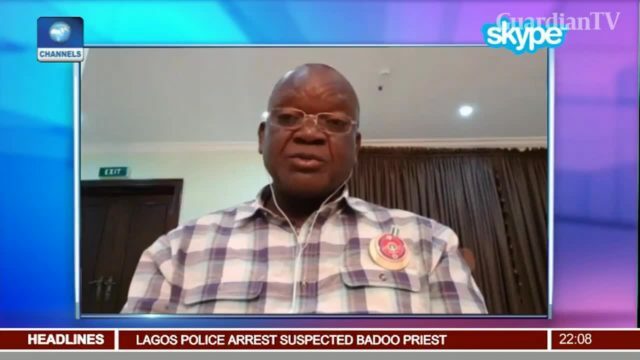 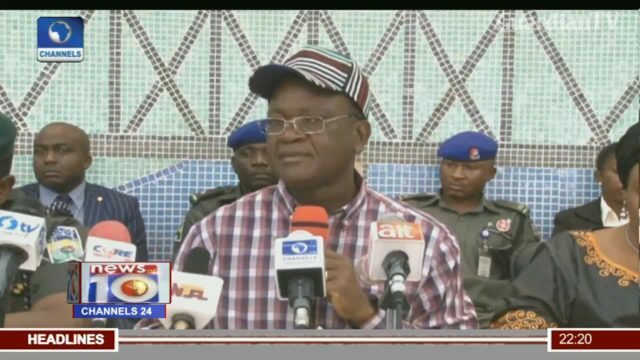 Gov Ortom insists Benue attackers are located in Tunga, Nasarawa. 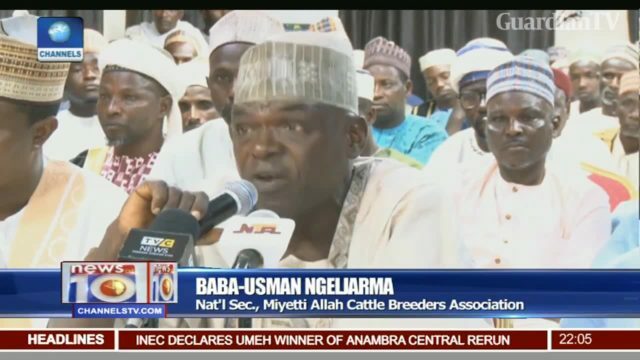 Miyetti Allah blames Benue killing on the implementation of anti-open grazing law. 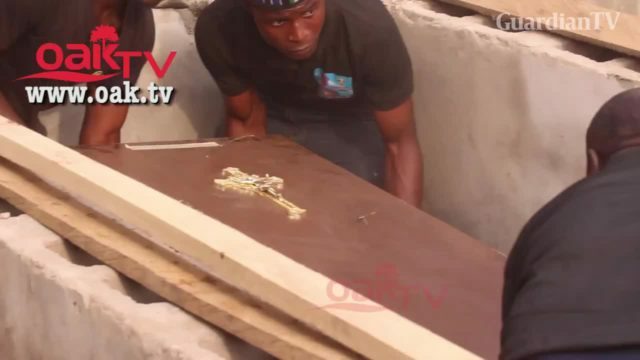 Benue Terror Attack: Victims laid to rest. 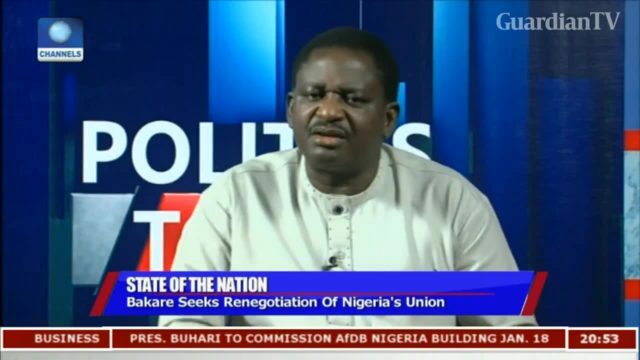 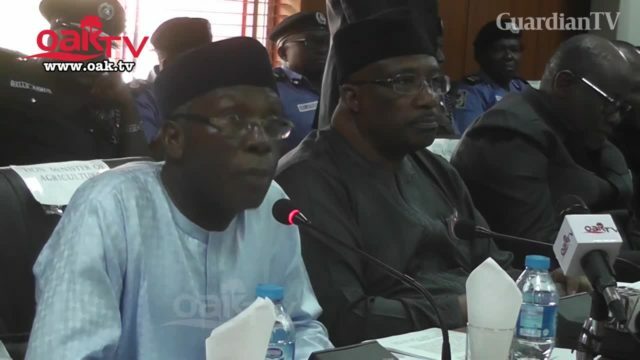 FG promises to end killings in Benue state. 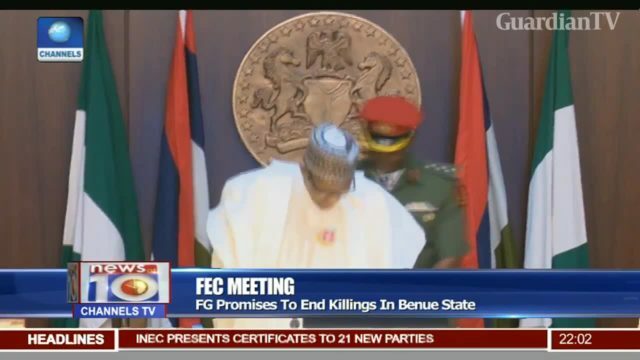 Following the recent killings in Benue, President Buhari has finally disowned the killers' as his tribemen. 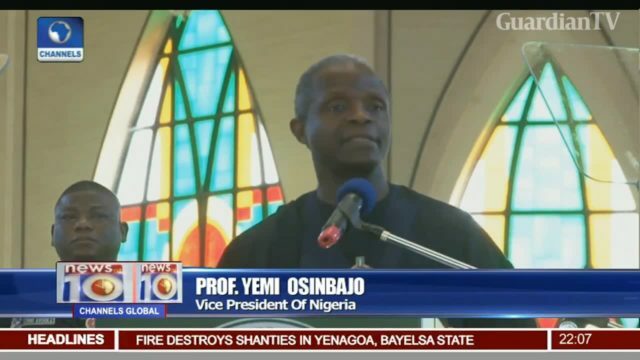 Osinbajo condemns Benue killings, others. 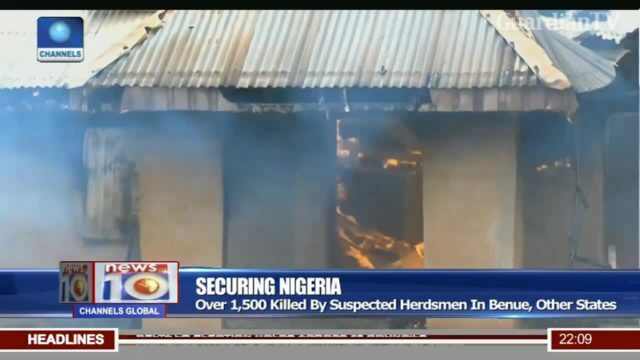 Over 1,500 killed by suspected herdsmen in Benue, other states. 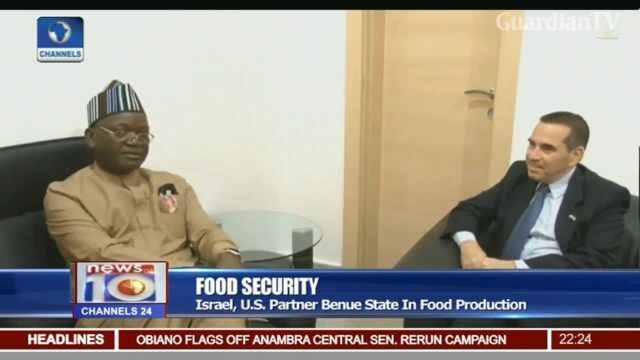 Benue killings - assessing current situation and possible solution. 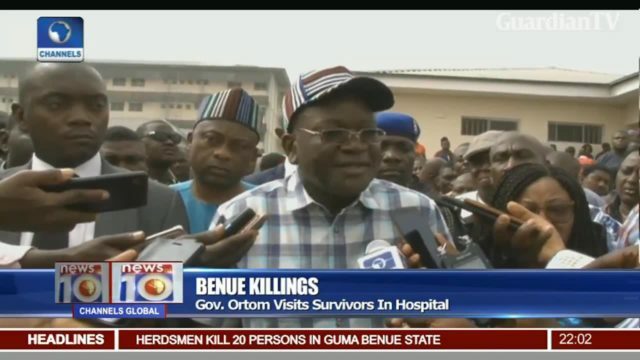 Gov Ortom visits survivors of Benue attempted killings in hospital.